A bench headed by green court chairperson Justice Adarsh Kumar Goel, directed the Delhi chief secretary to investigate the matter and take remedial measures. 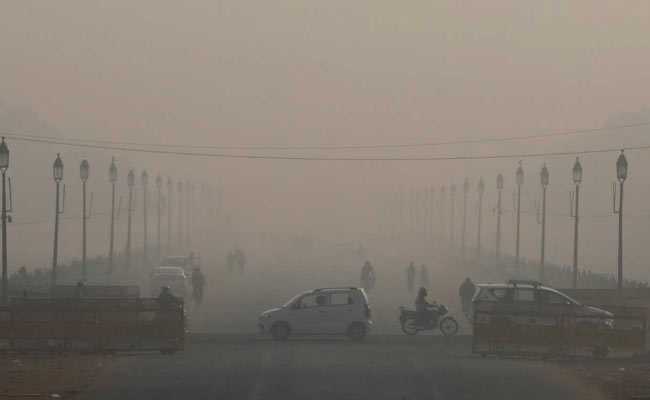 The National Green Tribunal today pulled up the Delhi Pollution Control Committee (DPCC) over its failure to control air pollution in the city, saying it had been avoiding its duties. A bench headed by green court chairperson Justice Adarsh Kumar Goel, directed the Delhi chief secretary to investigate the matter and take remedial measures about proper manning and effective functioning of the DPCC. "The tribunal may have to consider whether a statutory authority which is repeatedly failing to perform its duties should continue in position as one of the reasons which is contributing to unabated pollution in Delhi resulting in large scale deaths and diseases is the failure of statutory authorities to perform their duties." "In absence of responsiveness of the statutory authorities who have to carry out the orders of this tribunal, mere passing of paper orders will not advance the purpose for which this tribunal has been constituted under the law," the bench said. It said that no officer or authority can be allowed to defeat law in the manner it is being done on regular basis by the DPCC. The tribunal said that in such a situation, option may also have to be explored for action under Section 18(2) of the Water (Prevention and Control of Pollution) Act, 1974, whereby the central government may handover the functions of defiant DPCC to the Central Pollution Control Board. "Before further action, we direct the Chief Secretary, Delhi to look into the matter and take remedial measures about proper manning and effective functioning of the DPCC. The DPCC may file a proper affidavit of the action taken in the matter before the next date," the bench said.